Traf employs data driven strategies for your ad campaigns to progressively drive more qualified and more valuable customers to your business, based on analytic measurement. Reaching people who are directly searching for your product/service & building awareness through Google’s network of partners. Using data and behavior tracking, Traf Marketing helps build and manager your campaigns for your business that you know are reaching high quality audiences. 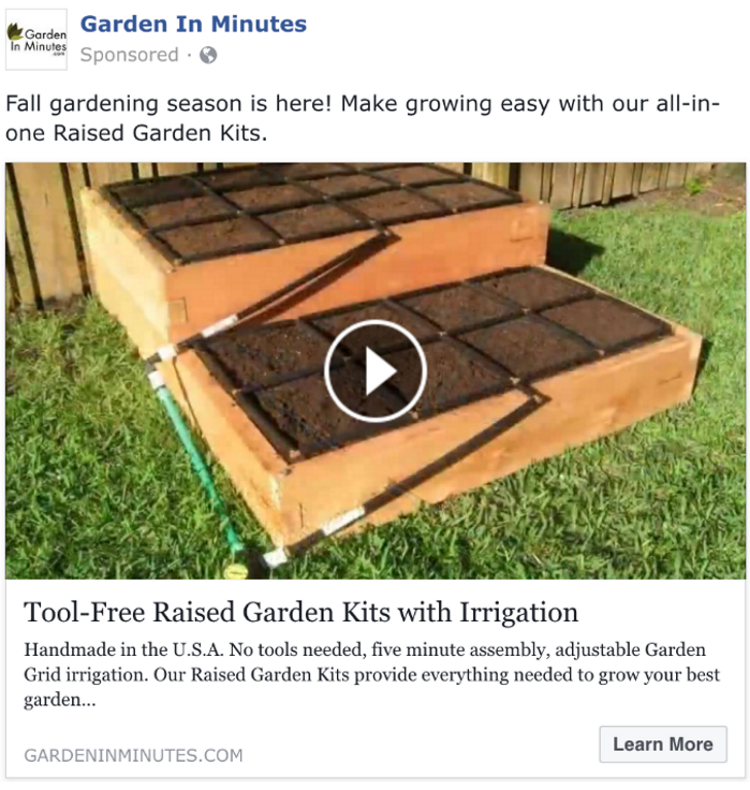 Ask us how we generated 1,125% ROI just on Google for Garden In Minutes! 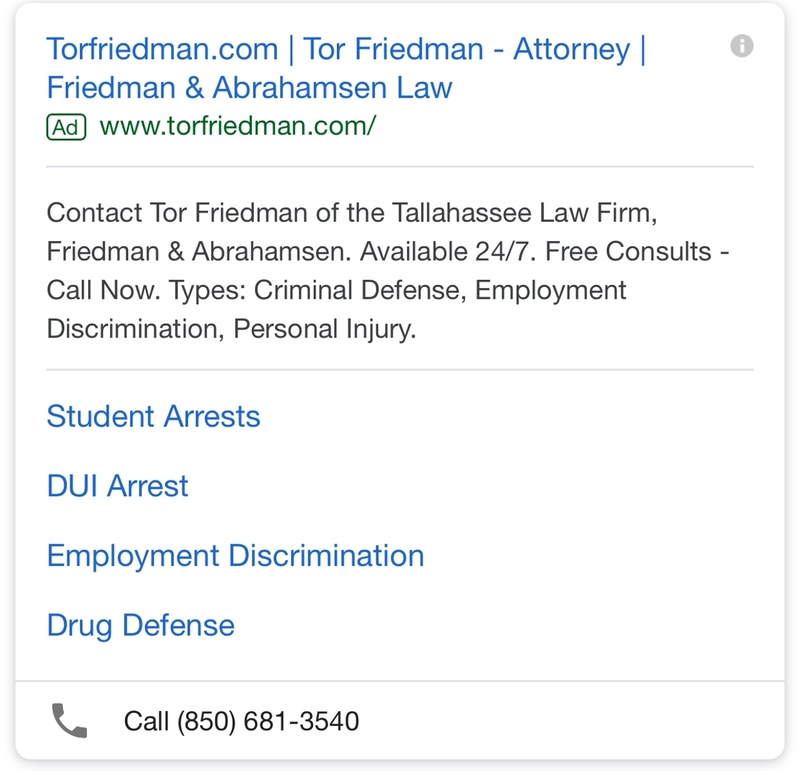 Or, how we converted 14.8% of clicks into business leads for Friedman & Abrahamsen Law! The Facebook Advertising Platform offers a wealth of ad variations, targeting options, and cross publisher network reach – all while providing an environment for potential customers to share and like your brand and even communicate with you directly. Traf has years of experience with Facebook Advertising and continually works to make your ads more cost efficient and convert viewers into customers at a higher rate. To build and inform decisions, we employ a variety of strategies and best practices. Want to know the demographics of past customers, and then advertise to people like them? Have you ever explored a website and then saw an online ad for it later? Want to know the actual revenue an Ad generates compared to another? 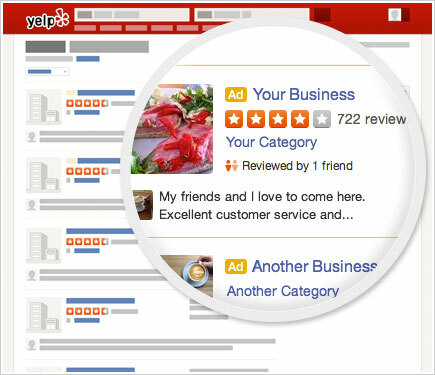 Yelp ads display your local business listing at the top of Yelp search results AND on non-enhanced competitor listings – meaning you can ‘steal’ customers from non Yelp-savvy competitors! Your Yelp profile can be enhanced so all competitor ads are removed from your business listing and replaced with a Call-To-Action button for your business. Yelp may seem simple, but it requires detailed analysis to be run efficiently. Ask us how we managed over 1,500 locations for Olive Garden, Longhorn Steakhouse, Seasons 52, Yard House, Capital Grille, Bahama Breeze, and Eddie V’s, and helped drive over $2 million in increased revenue in one year! Based on your goal, product, and service, Traf partners with you to determine which advertising medium is best to reach your potential customers. Defining who to advertise to is paramount for your ad campaign’s success. Consider the quote “If your product is for everyone, it’s for no one”. Being specific is valuable. Traf will sit down with you, discuss your goals, analyze available consumer data points, and define who is best to target your ads toward. What kind of messaging resonates best with your audience? Are they casual, professional, refined? How does you business/product show best? Pictures, video, text? With your target audience, advertising platform, and goal defined we’ll create ads that make sense and fit your goal and customer demographic. Using a litany of data collected from the ad publishers, tracking tags and pixels, and analytics software, Traf measures the actions consumers take after engaging with your ad. Using this information, optimizations are made to improve the efficiency, scale, and value of your ad campaigns so you can improve the ROI of your campaign goals.